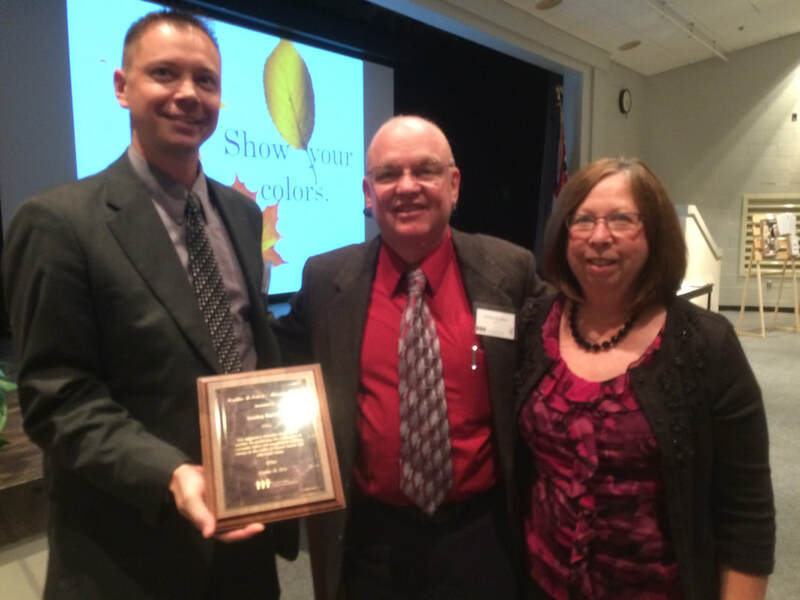 Board Chair Jason Wagner present the 2014 Geraldine B. Nelson Award to Gordon Buckner, accompanied by his wife. ​For 2014, we recognize an individual who has dedicated his life to helping others manage and overcome the challenges of mental illness. He is described by peers and clients as having a gentle manner and straightforward approach – what some call “tough love.” His passion is empowering others to see hope for their own tomorrows. He has maintained his steady course through turbulent times in the mental health field. Despite the many changes happening around him, he has kept his focus on serving those who are hurting. It is in recognition of this achievement that the Tri-County Board of Recovery and Mental Health Services recognizes this year’s winner of the Geraldine B. Nelson Advocacy Award, for supportive measures on behalf of another, by promoting the recognition of consumer rights and encouraging positive change in the realm of mental health and addictions issues, presented this day, October 15, 2014, to Gordon Buckner.